When Laura Perez, former principal at Whiteaker Middle School, returned from a mission trip to Mexico committed to make a difference in her community, she met with Sheronne Blasi, and the two friends went on a long walk. “We just had a shared vision for the work we’d like to do and the impact we’d like to have in our community,” Perez said. That vision was Simply Birthdays, a non-profit created by Perez and Blasi that holds birthday parties at two local homeless shelters—Simonka Place in Keizer and Salem Interfaith Hospitality Network, as well as provides party supplies for the Center for Hope and Safety. The parties, which are held each month, begin with crafts and games. The kids then sing Happy Birthday, blow out the candles, eat cake and then open presents. 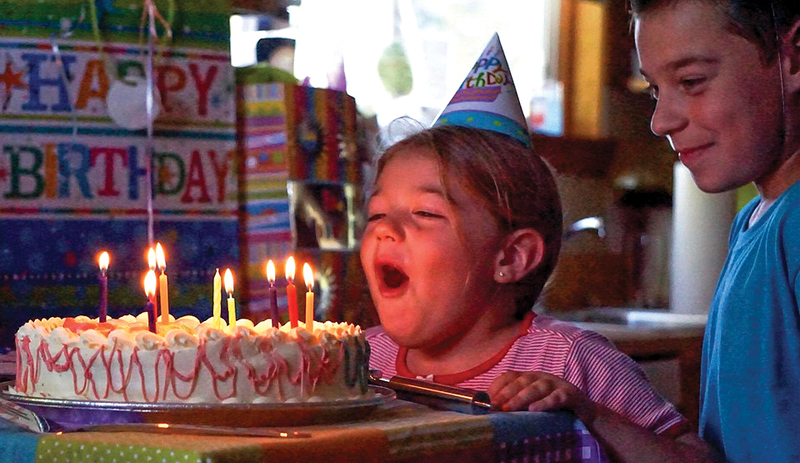 Thanks to generous donations, each birthday child receives four to five gifts totaling about $75. The rest of the kids and parents are given goodie bags and books. At Simonka, there are typically 12-15 kids and another 20 adults. Perez remembers one of the first parties when a woman living at the shelter who just couldn’t believe they were there, shook and pressed two dollar bills in her hand afterwards. “I don’t have much but this is to help with the next party,” the woman said. “There have been many parties where either the birthday child or the mom will come up afterwards and say to us ‘thank you, this is my best birthday ever’ or ‘this is my only birthday party’ and to have a child say ‘this is my best birthday’ and they’re living in a homeless shelter. That says a lot,” Blasi said. While providing birthdays parties to children who wouldn’t otherwise have one is Simply Birthday’s primary mission, Blasi and Perez also want to help people see a different face for homelessness. Marco Polo Global Restaurant in Salem has provided a personalized cake for every birthday child over the past two years. Keizer Chamber, Rotary and Fire Department and many others have also donated to the cause. When a group of Western Oregon University students organized a party for a class project, they came back transformed. For more information on Simply Birthdays, including dates of parties and other ways to help, visit simplybirthdays.org.